148: My “twins”. We had my nephew for the day, who’s three weeks younger than Hannah. We had a blast taking our “twins’ shopping. 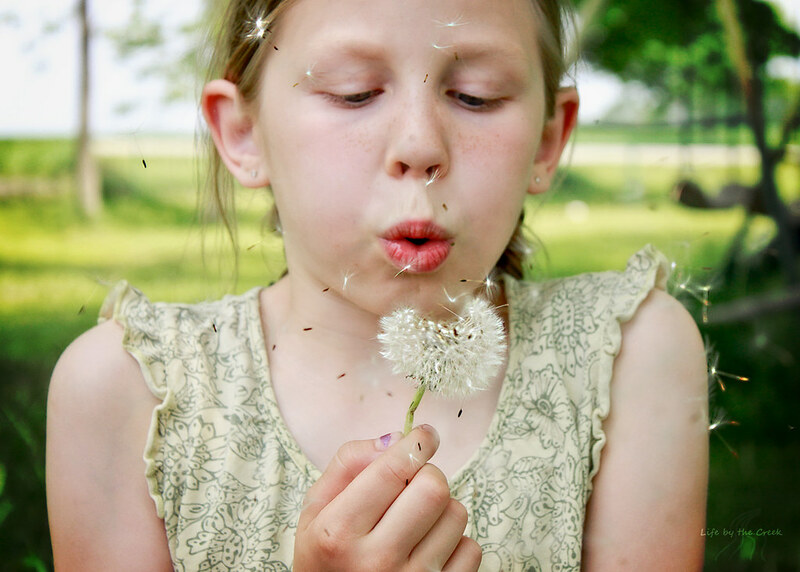 150: Hannah wanted to copy Rebekah – who was blowing dandelions for my “wind” pic for the Photo Hunt. 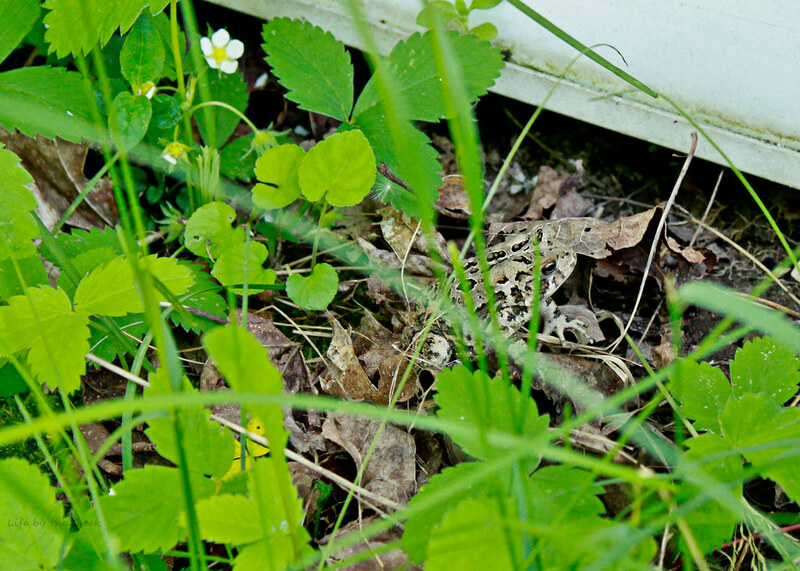 151: A toad in the grass – the kittens were attacking it, so I quickly snapped a pic, and called them away. 152: Jeff’s new “ride”. We’re very thankful that he was able to get work!! 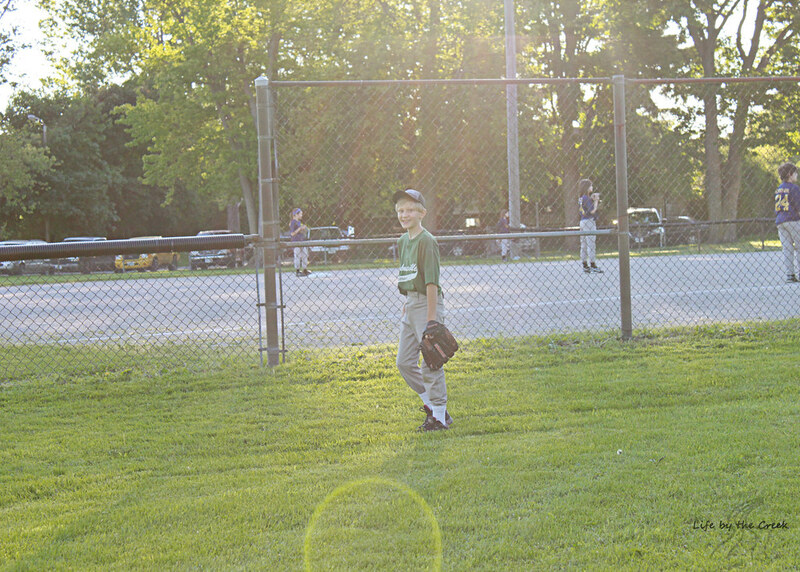 153: I was loving the light at Justin’s ball game. 154: Michael finally opening his birthday presents! It was delayed by a day because of Justin’s ball game. And that’s how it’s been around the creek this week. Visit Sarah to check out some other 365’s! Awesome photos this week. Love the dandelion shot. 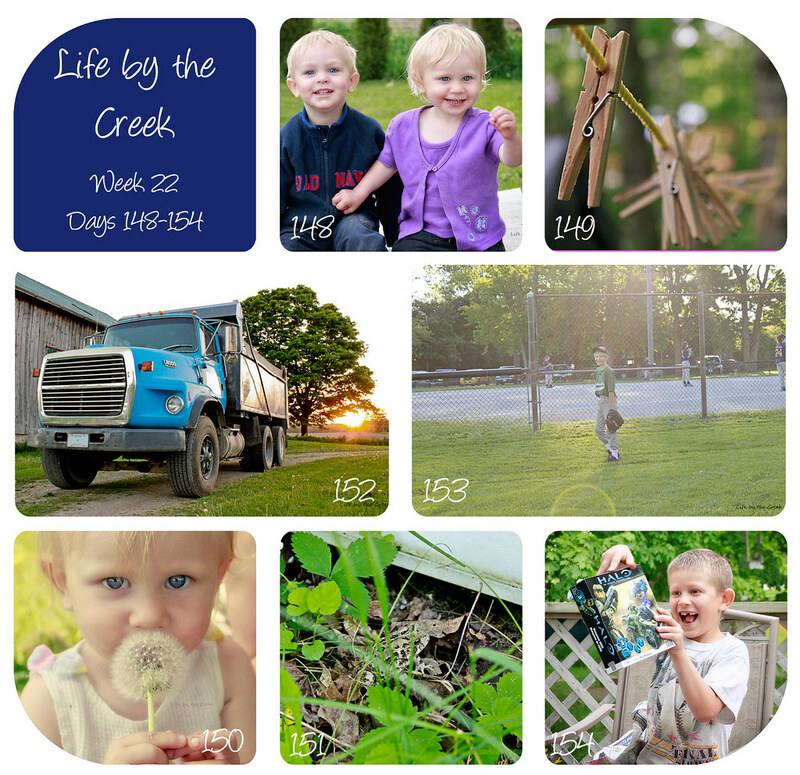 Great clothspin and dump truck photos. Wow, they do look alike! Such pretty photos--love the composition of the clothespins photo! Love the clothespins. I didn't see the frog until I read the description. Poor guy was just trying to hide. 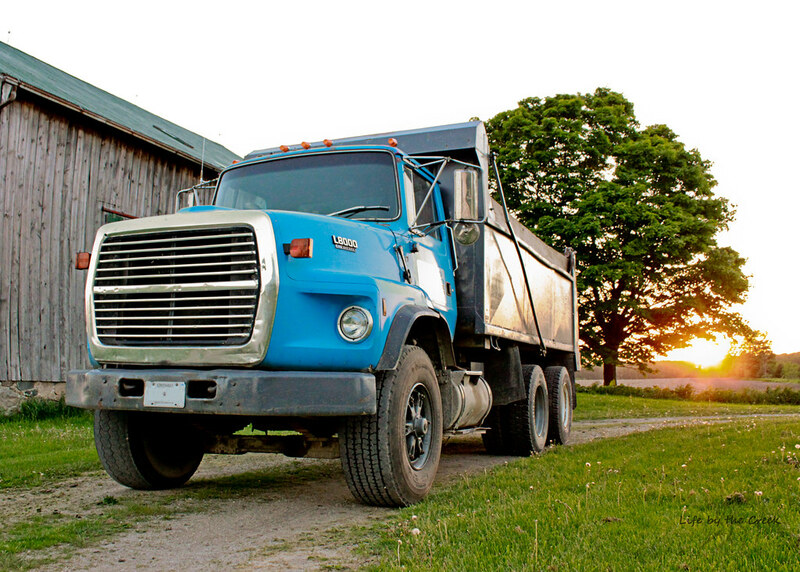 I love the dump truck shot - with the sun in the background - you made a dump truck look beautiful!